Innovation is a principal driver behind our nation’s economic growth and job creation. The United States Patent and Trademark Office (USPTO) serves America’s innovators by granting the intellectual property rights they need to secure investment capital, build companies, and bring their products and services to the global marketplace. USPTO is an integral partner in President Obama’s drive to create the foundation for our economic future where we out-innovate, out-educate, and out-build the rest of the world. USPTO is proud to play a role in accelerating socially conscious technologies in emerging fields like alternative fuels, clean energy, and green technology. Last fall the USPTO extended the deadline for filing petitions under its Green Technology Pilot Program. Under the pilot, patent applications involving reduced greenhouse gas emissions, energy conservation and environmental quality are accelerated in their review at no cost to the inventor. Program statistics show that stakeholders participating in the Green Tech Pilot have obtained patents much more quickly as compared to the standard examination process. Currently, the average time between granting of a green technology petition and first office action on the merits is just 49 days. 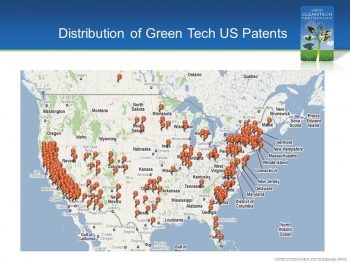 In many instances, applicants have had their Green Technology inventions patented in less than one year from the application filing date. 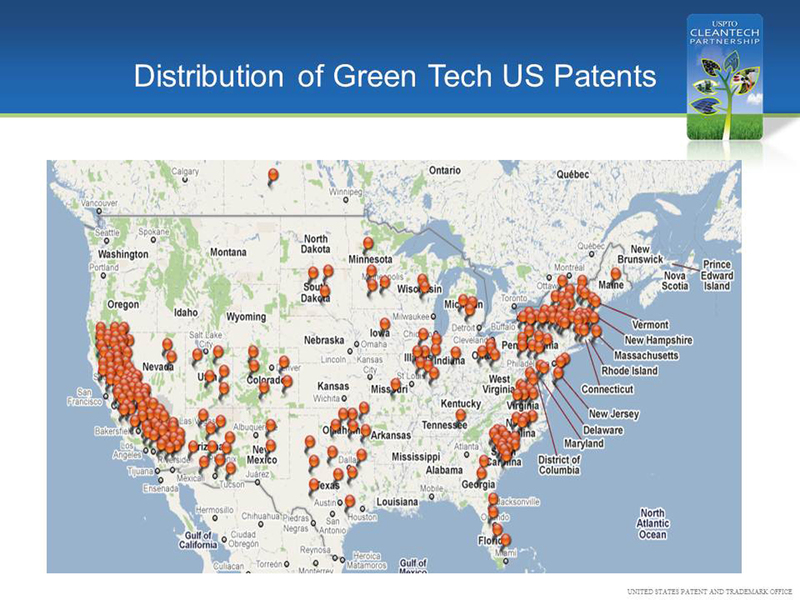 More than 1,900 petitions have been granted to green technology patent applicants since the pilot began in December 2009. Of the 1,900 petitions granted so far, USPTO issued the program’s 350th patent for a configuration of a wind turbine housing on June 28. By advancing a commitment to building a more sustainable energy future, USPTO is able to spur additional innovation and promote green collar jobs that provide our world with alternatives to harmful energy practices. This ensures that the U.S. is not just the world’s Chief Global Competitor, but also its Chief Global Citizen. The ability to develop tools in the name of cause-based enterprising is an endeavor that may still require investment capital, but leaves the rest of the world inspired through human capital—and that’s an example of the sort of nuanced innovation that continues to mark excellence in American leadership. Submitted on August 6, 2011 - 11:16pm. Submitted on August 6, 2011 - 11:25pm. Just treat people the way you would want to be treated (unless you’re a masochist of course).